If you’re looking for tips on getting around Paris easily and affordably using public transport, make sure to download our 2019 INSIDR Paris Transportation Free Travel Guide! To get from CDG AIrport to Paris city centre isn’t as hard or expensive as you may believe. Using Paris’ transportation system or the other services the city has to offer means you’ll be in Paris in no time. First time flying into Charles de Gaulle airport and want to get into Paris? INSIDR will make your airport transfer pain-free! In this article, we list down the easiest ways to get to Paris city from Charles de Gaulle Airport! This is the cheapest way to reach Paris city, and is the best option of you’re on a budget trip to Paris. You can take the RER B suburban train which departs from Terminal 1 and 2 of the Airport. Once you have exited from the arrival hall, follow the signs at the airport that says “Paris by Train/RER B”. You can purchase a ticket from the ticket machines that are installed just before you enter the station (Price €11,90 one way for adults, €7 for children between 4-9yrs; cash and credit cards accepted). 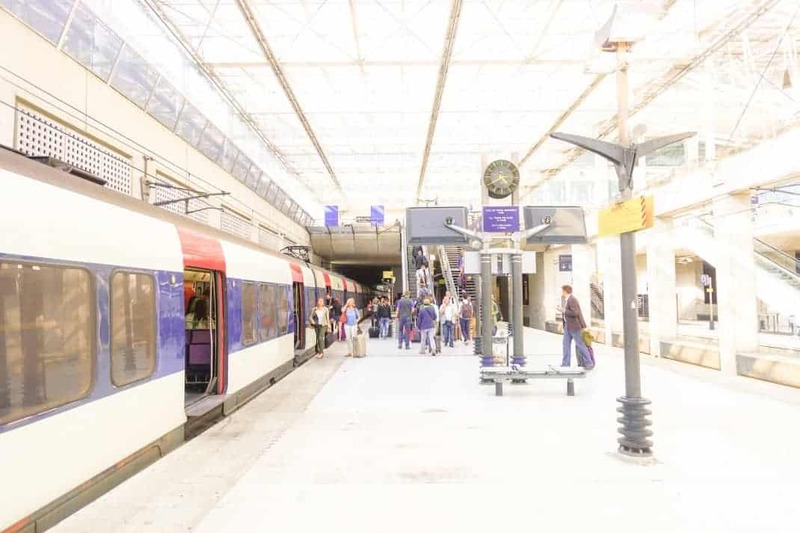 The train goes through the centre of Paris at stops at the following stations- Gare du Nord, Chatelet-Les Halles, Saint Michel-Notre Dame, Luxembourg, Port Royal, Denfert-Rochereau, Cité Universitaire. You can take the metro from any one of these stops to get to your final destination. The journey can take from 45 minutes to an hour. INSIDR Tip: Never buy tickets off people in the airport, always use the machine as this could be a scam! Read our article on scams in Paris to know more! Another cheap way to get to Paris city is to take the Roissy bus which connects Charles de Gaulle airport to city center at Opéra. To take the bus, follow the signs at the Airport that says “Paris by bus/Roissy Bus”. Once you are at the correct stop, you’ll see a vending machine to buy the ticket (Price €11.90 one way, cash and credit cards accepted) Board the bus that goes direct to Opéra, which is at the heart of Paris. From here you can switch to the metro at Opéra (lines 3, 7 or 8) to get your destination. INSIDR Tip- The bus offers free wifi! LE BUS DIRECT: Another bus that you can take is Le Bus Direct, operated by Air France. Le Bus Direct fares are all inclusive, there is no hidden charges or surprises – you can see the price of the fares in the image below. There are four different lines that can take you closer to the place you need in Paris and there’s even one that takes you directly to Orly airport. Lines 2, 3 and 4 stop at Terminal 2E and 2F and Terminal 1 and you can purchase tickets from the machines nearby the stop or you can purchase them online. INSIDR Tip- The bus has free wifi, USB charging points as well as a free luggage service. You can also take a private taxi from the airport to Paris city. The signs to the taxi stand are well places all over the airport and you have to wait in the line to take a taxi. In 2016, the rates were revised and now there is a flat rate from the airport to the city. That means if you’re travelling from the Charles de Gaulle airport, you’ll pay €55 for a trip heading anywhere on the Left Bank and €50 for anywhere on the Right Bank. This rate is not applicable for Uber taxis. 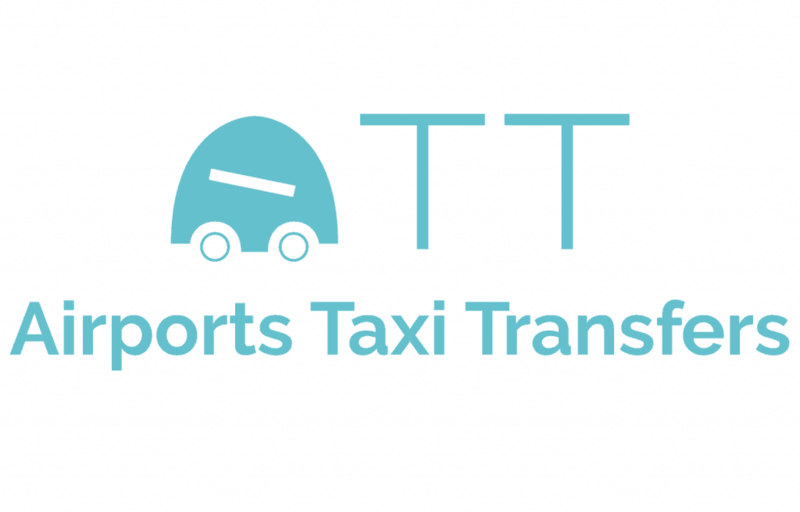 Airports Taxi Transfers, it is a platform that compares prices from different airport transfer service providers and offer the lowest price for each category of vehicles. There is a wide range of vehicles from sedan cars, minivan to full size buses provided according to the needs of customers. Discounted airports taxi transfers is also available on weekdays for some destinations, check out their website for more information!